Sometimes, Japan just has weird subcultures. And to be quite honest, I don't know if I would lump "vanning" into that category or not. On one hand, at least to Americans, a modified van usually symbolizes pedophilia. You can easily imagine a Dodge Ram Van decked out to help a greasy guy in pedo glasses with 3 slicked over strands of hair lurking about park playgrounds and looking for a young, helpless victim. On the other hand, there are many less fortunate men that have been relegated to the hell known as fatherhood. Not that it's all bad, unless you're in a situation where the wife makes you sell your sports car and buy something responsible....like a mini-van. It just seems to me that the Japanese have found a way to make this as little demoralizing as possible. Hell, it's almost cool to own a van. Take these two examples, the Nissan ElGrand (1st) and Toyota Alphard (bottom picture). I mean if I could have one of these vans or a R32 Skyline GT-R, then it's a no brainer. But if I had to become responsible.... I would totally opt to have one of these vans over a Chrysler Town & Country. This Nissan Elgrand is pretty basic. It looks like it is either sitting on drop springs, or the owner was de-balled just enough to resist the urge to smash the coilovers. But for what it is, the stance is acceptable. The front lip also adds a nice touch. The wheels are AME Shallen 19s. 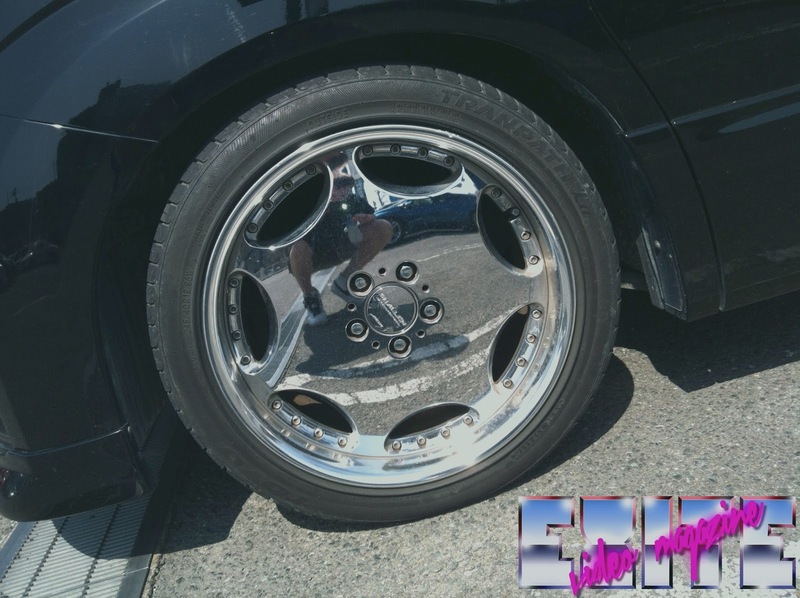 Judging from the 245/40/19 tires, I would guess it's an 8 inch wide wheel. 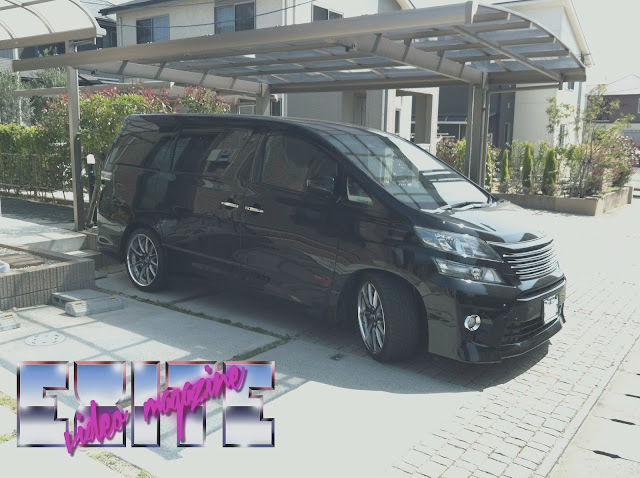 Next up we have a solo shot of a Toyota Vellfire, the brother to the Toyota Alphard. I really love these vans. Simply gorgeous to look at in black. This one looks like it has a little bit less done. This Autoblog article talks a little bit more about the 2008 model year Vellfire and Alphard if you are interested. They made a comment that the Alphard is designed for your grandfather, and the Vellfire is designed more for men in their 30's. The blog also posted this Vellfire commercial, which I will graciously recycle, below. There is no version of the Vellfire or Alphard in America, but the 3rd generation Nissan Elgrand, chassis code E52, is available as the Nissan Quest. 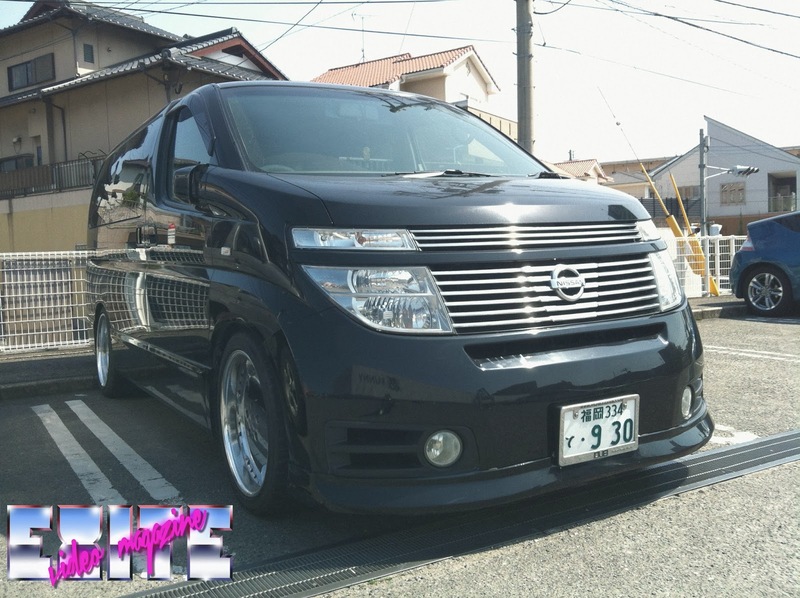 Nismo does make aftermarket parts for the van, and I can get anything JDM that you need for this van easily, since it is still in production. The model year has ran from 2010 to current. email me at exite.video.magazine[at]gmail.com for more info. If you know anyone that wants to customize their way out of minivan hell, send them my way. 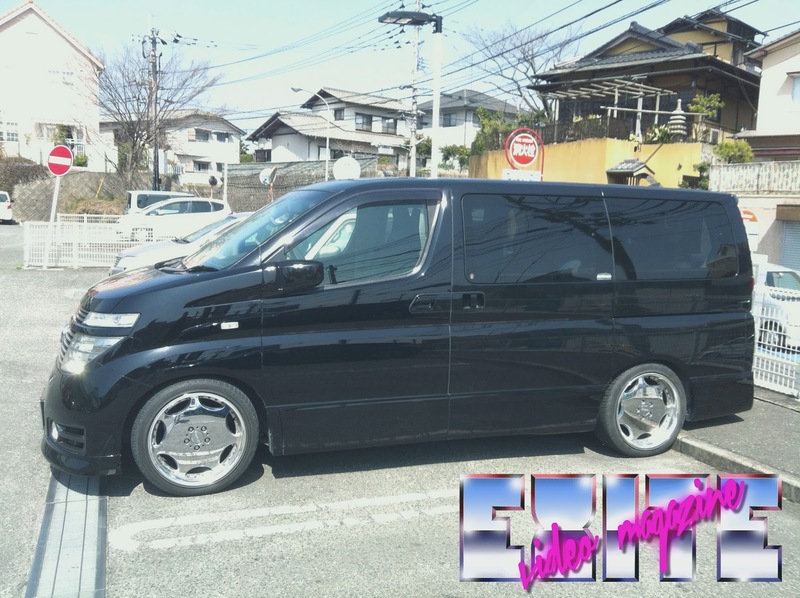 Good comment for Toyota Vellfire from Japan Toyota Vellfire from Japan. Hey, sorry for the late reply! Thank you for your support. I went to look at your page. Do you ever sell cars to people living in Japan still? Or have all your cars already been de-registered in Japan?